NZXT is ready to return to the root of their most recent successful line of PC cases of all time. 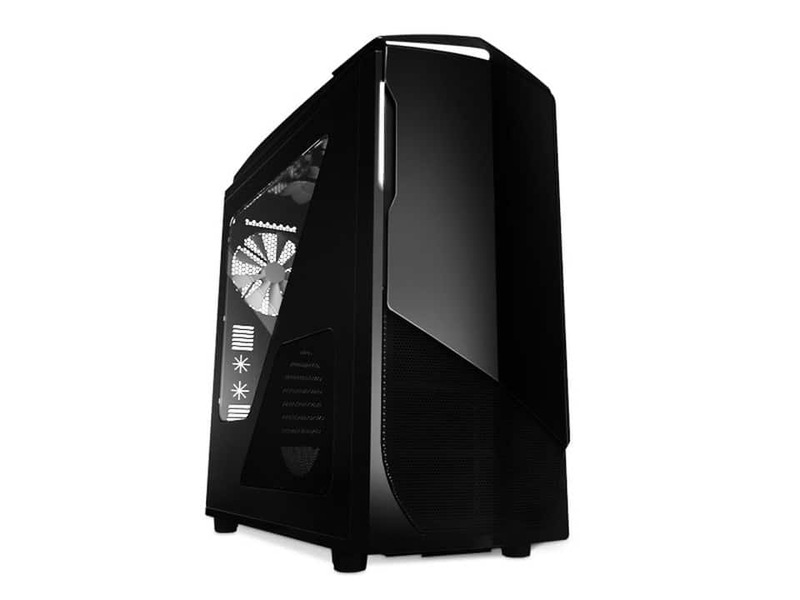 Nearly every feature, color option, and accessory they have released in the last few years stems from the original NZXT Phantom that was originally released at COMPUTEX 2010. This year we finally get a true successor to the original and they call it the Phantom 530. The Phantom 530 is not a more compact version, style change, or simply a continuation of the current series. This case is truly the original NZXT Phantom, but just better in every way. The full-tower case now has 70% more cable management room, better airflow, and expanded liquid cooling support (up to 360 mm rad on top and 240 mm on front and bottom). These are features that are now a staple on their current cases, from the Switch 810 to its cousin, the Phantom 630. The Phantom 530 also gets newer features from the other cases that spawned from the Phantom line. This includes a rear I/O light, full modular HDD cages, steel 5.25" optical drive latches, and integrated 10-port fan hub. It also gets expanded drive space with a single discrete SSD mount behind the motherboard tray. And thanks to the larger window, you can proudly show off all the new features better than ever before. 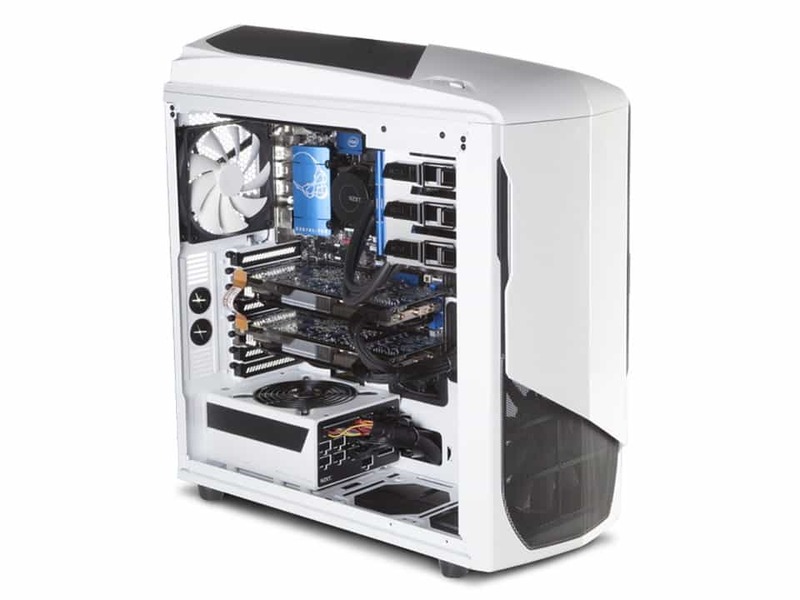 The Phantom 530 will be available soon in Glossy White, Glossy Black and Glossy Red for an MSRP of $129.99 US. There was no word on whether the Pink Phantom would make its return. More details posted in the press release below. Everything you loved about the original, only better. June 3rd, 2013 – In 2010, NZXT introduced the industry to its Phantom chassis, an aggressively designed, feature-rich case for mainstream users, gamers and enthusiasts alike. Now, NZXT is finally ready to unveil its direct successor, the Phantom 530. Continuing the legacy of the original, the new Phantom was meticulously designed from the ground up resulting in a refreshing new design that is uncompromising in every way. While creating the Phantom 530, the NZXT design team painstakingly took every beloved aspect of the original and made it even better. With up to 70% more cable management space, more airflow and even more liquid cooling support, the Phantom 530 features phenomenal support for even the most extreme performance builds. Along with its fully modular, interchangeable hard drive cages, the new Phantom features all of the latest NZXT technologies including: a discrete SSD mount behind motherboard tray, signature rear I/O LEDs, single channel 30W fan control with integrated 10-port fan hub and steel 5.25” optical drive latches. The Phantom 530’s extensive liquid cooling support includes Kraken X40/X60 compatibility and radiators of up to 360 mm in size on top, 240 mm in front and 240 mm on bottom. Additionally, the new Phantom also features the largest window the Phantom line has ever seen, letting you show off the true beauty of your masterpiece, inside and out. The Phantom 530 will be available soon in Glossy White, Black and Red for $129.99.